Inspiring generosity to advance health care at the QEII. Funding new technologies, medical research, innovation and professional education. We're in the business of saving lives. With financial support from all levels of the community, the QEII Foundation helps fund new technologies, medical research, innovation and professional education that contribute to life-changing moments experienced every day by patients and their loved ones at the QEII. Inspired by the drive and passion of QEII healthcare teams, the QEII Foundation staff and Board of Trustees continue to give – in addition to their work to advance care – with 100 per cent staff giving participation. By working together with people who share a vision of better health, the Foundation strengthens care delivered at the QEII, improving the health and lives of Atlantic Canadians. Providing better health to Atlantic Canadians. The QEII Health Sciences Centre takes care of Atlantic Canadians when they need it most. With 10 buildings on two sites, the QEII is the largest adult health sciences centre in the region. The QEII is the specialized care centre in areas such as heart health, cancer care, neurosurgery and organ transplantation. In addition to providing the most advanced care available, the QEII is the leading research centre and training facility for tomorrow' s healthcare professionals. The QEII Health Sciences Centre is made up of 10 buildings. 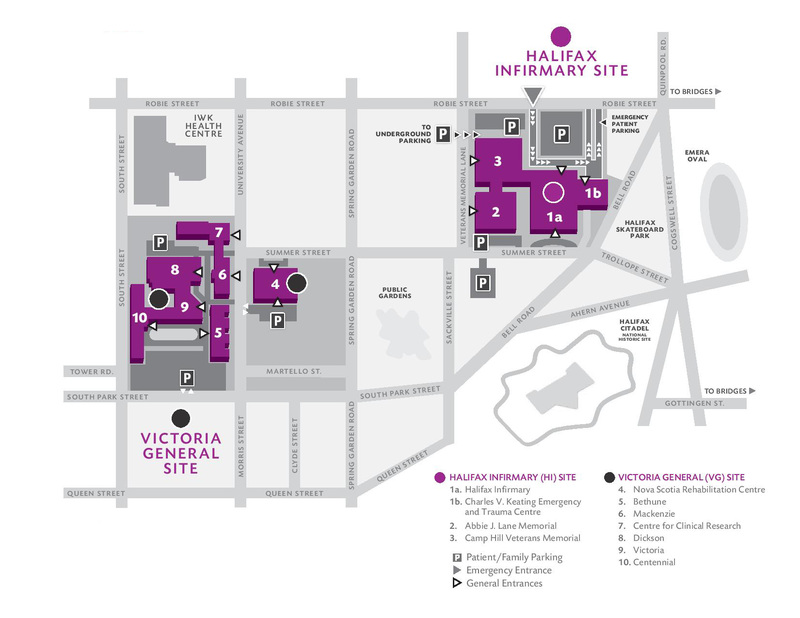 Located in Halifax, Nova Scotia, the QEII spans both the Halifax Infirmary (HI) and Victoria General (VG) sites, with more than 700 physicians, 7,000 staff and 1,200 volunteers. Our volunteer Board of Trustees assists in accountability. Have a question about the QEII Foundation and the work we do? Our stamp of organizational excellence.